Are you having problems meeting new people and making English speaking friends? Are you finding it difficult to step outside your comfort zone and make the first move? Today it is easier than ever to get to know different types of people in your city or town through social networking - especially with a resource called Meetup. Meetup has more than 9.5 million membersin 40 countries around the world. Thousands of people from Canada, the United States, the United Kingdom, Ireland, Australia, New Zealand, Taiwan, Korea, Japan, Hong Kong, Mexico, India and many others belong to meet up groups. Meet up groups were created to solve the problem of feeling alone and isolated in big cities . The groups are designed to help people make local connections and meet new people who share similar interests. 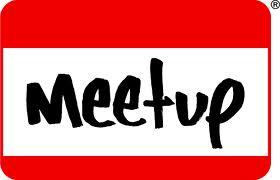 The meetup web site provides information on thousands of special interest groups, so it is easy to find a topic and a group that interests you. Each Meetup Group shares an area of interest. The groups meet face-to-face on a regular schedule. Sometimes this is once a week. Others it's once a month. These meetings are open to everyone, and are a great way to meet new people who share your particular interest. There are thousands of local Meetup Groups for thousands of interests. It all depends on you. You can do several different things. 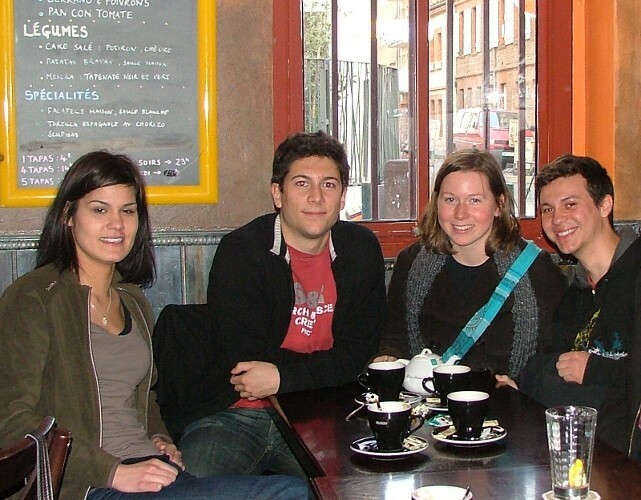 You can find and join an English conversation group in your city where you would definitely practice speaking English and make new friends. But, you could also join a regular interest based social meetup group such as a walking, games, photography, dancing group that consists of mainly English speaking members. By joining this kind of group, you would have opportunity to have fun, do something you are genuinely interested in, speak English and make some new friends all at the same time. The choice is yours. It really depends on how brave you are, or how confident you feel about speaking English. What Happens at a Meetup Group? It is very easy to join because meetup groups are usually informal and open to anyone who is interested in the topic. Members will immediately welcome you and make you feel comfortable - even if you are not English speaking. In fact, if your English is not perfect, members are likely to help you. Friends are also welcome, so if you feel nervous about joining a group, bring along a friend for moral support. Most Meetups happen at restaurants, cafés, or public parks, and some groups meet in offices or private homes. You will often find a printed sign to help you find the Meetup Group. 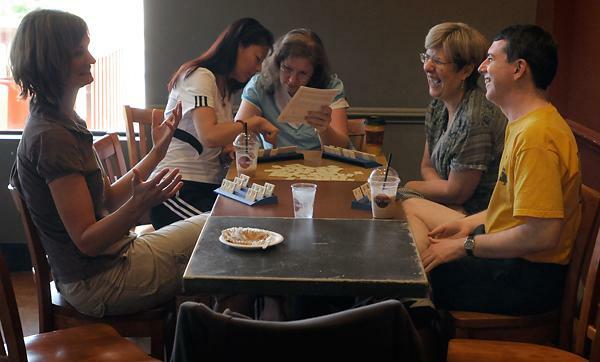 Some Meetups are based around activities—like knitting or language practice. Others focus on organizing for a cause like raising money, or planning an event. At other Meetups, people share information and stories, such as a shared health condition or what it’s like to be new in town. There are thousands of options to meet new people. or...go to google. Type in Meetup groups and the name of your city. Search on a topic, and enter the name of your city, postal code,or zip code. You will see a list of the Meetup groups that are closest to you. The distance is indicated in miles. Click on a name to go to the group's website where you can learn more about the group, its members, its activities and times and locations of events. Attend the group and meet new people! "This group is all about finding friends and making new friends. It's for anyone who enjoys events and activities that are socially interactive, interesting, laid-back and lots of fun. This group is for socializing only and there is no cost to joining our group. In addition to social events we also organize fun outdoors events that help promote good health & wellness through fun exercise and regular hiking and walking events. The same Vancouver group as above suggests that " a good way of finding out how well a Meetup group is performing is to check out their past events. In particular, look at the event rating and also read member's comments. We encourage you to click on any of our past events under the heading "Past Meetups." Here are a few sample meetup group links in different cities around the world. Make sure you check out the main website at Meetup.com for more. Meetup groups in Vancouver, B.C. I have discovered a ping pang meetup in Downtown, Vancouver. Tthey have meeting at every Saturday. Unfortunately, I am not available at that day. I llove playing ping pang, however, I couldn't find a partner to play with. I thought my brother Had Better Grammar but now i can show him this post.